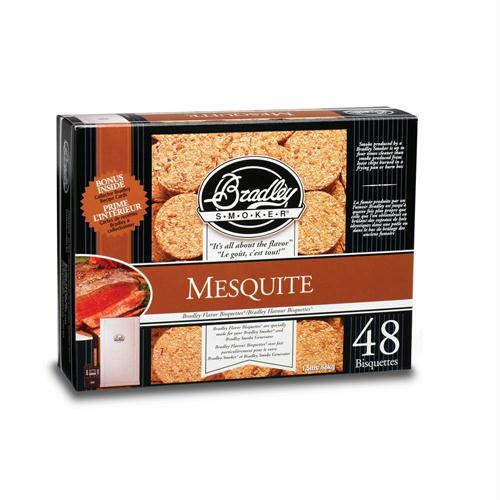 Bradley’s Mesquite Bisquettes 48 Pack are rendered from natural hardwoods without additives, producing a clean smoke flavor. The smoker consumes bisquettes at the rate of approximately one every 20 minutes. The stronger and very distinct flavor of mesquite is commonly used for smoking beef, game meat, and pork products like pork shoulders and beef brisket.